Peter Pan and Tinker Bell have been my favorite storybook and Disney characters since I can remember. I have always loved the idea of Neverland and fairies and flying! I know the cartoon movie by heart, and still get excited when any new version comes out! When I was little, I would stare at my window at night hoping to catch a glimpse of this awesome duo! My daughters and I have come up with our own holiday called Tinker Bell Day and we decorate our house to look like Pixie Hollow from the new Tinker Bell movies! 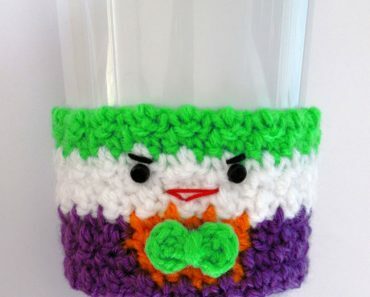 When I started designing cozies, I knew Tinker Bell was high on my list of priorities. 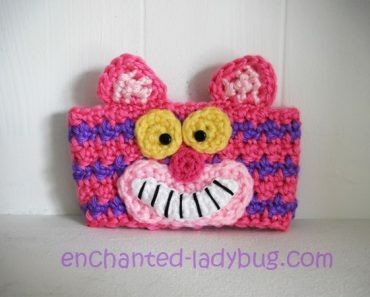 She is a lot of fun to make and has been a popular seller in my Etsy shop. I want to design Peter too, but have not been happy with anything I have come up with yet, but I will keep at it! 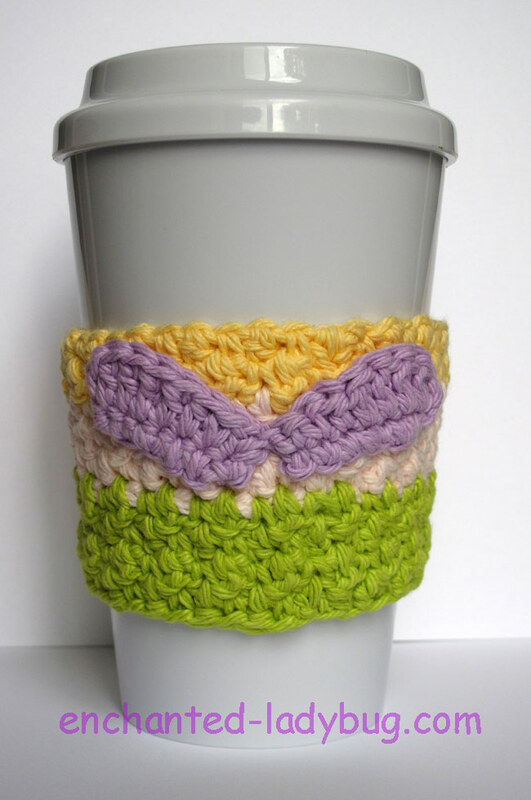 So for now, I am sharing my crochet Tinker Bell coffee cup cozy pattern with all of you! Oh, she is just so adorable! I love her little pom poms, I sew them on with white embroidery floss. 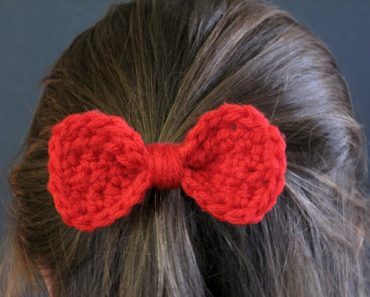 This cozy is made with a 4.0 mm crochet hook. The yarn in this picture is Lily Sugar ‘n Cream in yellow, camomile, and hot green. 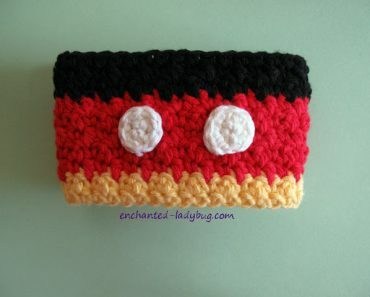 I sewed on two small buttons for her eyes with black embroidery floss and use pink floss for her smile. The wings are my favorite part of the Tinker Bell cozy! I used Lily Sugar ‘n Cream scents in lavender. I really like that shade of purple. 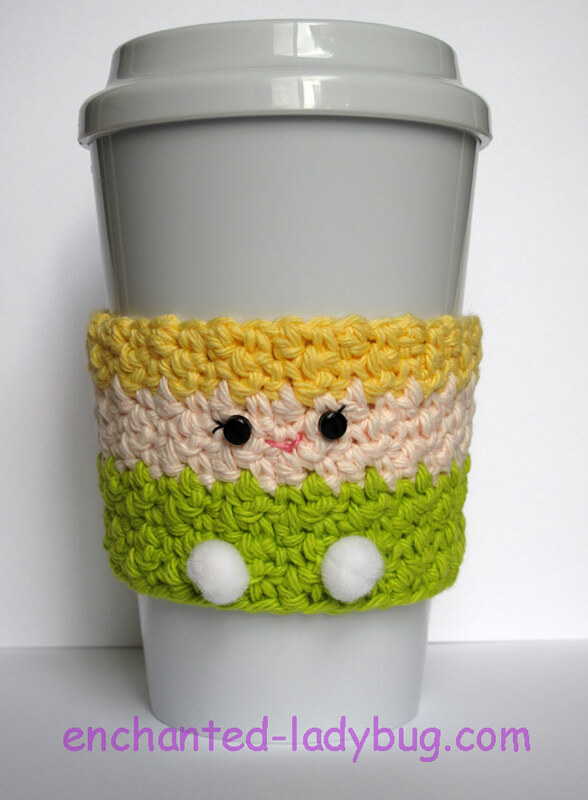 If you would like to make your own crochet Tinker Bell coffee cup cozy, you can download my free pattern below! 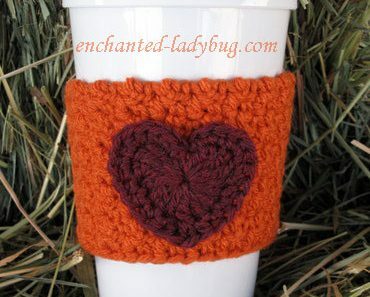 You can now find my Free Crochet Peter Pan Coffee Cup Cozy pattern HERE if you would like to make a matching set! 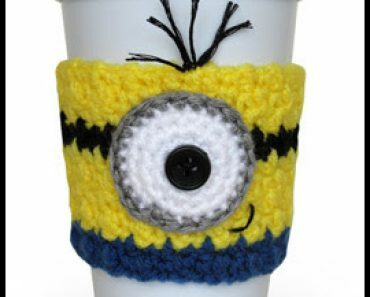 Please share your creations on my Facebook page, I really enjoy seeing what my fans come up with! If you are going to be having a Tinker Bell party, check out my husband’s site, HaleGrafx.com, he has a lot of great printables there and they are FREE!! He has a nice little collection of Free Tinker Bell printables too! Give some love to your yarn stash! !